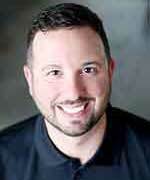 Dr. Morlino joined the Lindsey Wilson College faculty in August 2012. 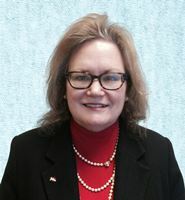 As an associate professor at Lindsey Wilson College, Dr. Morlino shares her business expertise with students and is an active member of the college's Center for Entrepreneurship Advisory Board, the college's Quality Enhancement Program, Lindsey Writes, and serves as the faculty adviser for Phi Beta Lambda. She has been an active participant in the world of business her entire life, starting with the family businesses in Mississippi. Having grown up in a small, farming community in the Delta of Mississippi, she learned early on that owning, operating, and managing businesses in various industries was something she wanted to be a part of. She earned her Bachelor of Science degree from Mississippi State University in Starkville, Mississippi. After graduation from Mississippi State University, Dr. Morlino continued her education at Louisiana State University in Baton Rouge, Louisiana, where she earned a Master of Science degree. After graduating from LSU, Dr. Morlino began her career in Little Rock, Arkansas, as the State Statistician for the United States Department of Agriculture. Her career path took her from Little Rock to Atlanta where she worked for many years as an Actuarial Analyst for a large, publicly held corporation in the financial services industry. A new baby changed her career path and Dr. Morlino was able to merge her analytical skills with a privately held corporation located in the Atlanta suburbs. As an adjunct professor of economics at a local college, she realized teaching was her passion so she decided to pursue her doctoral degree and entered the University of Georgia's graduate program in Economics. At the time, the University of Georgia did not offer classes in an online format so she completed her doctoral degree at Capella University with her dissertation, A Study of CEO Compensation and Firm Performance in the U.S. Airline Industry. In her spare time, Dr. Morlino enjoys spending time with her friends and family. Mohammad Pourheydarian was born in Shahi, Iran. Scored top in the national university exam in mathematics and chose to major in Economics. During his year at Tehran University for three years Mohammad had internship in statistical analysis of department of commerce in Iran. After graduation from Tehran University Mohammad became the chief of security officer of three ports of custom office in southern Iran. Then he accepted the responsibility of the chief of administration office of the College of Economics of Tehran University. 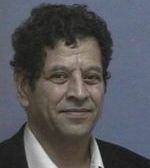 Mohamad moved to the United states on August 5th 1975, received his MBA from Roosevelt University in Chicago and then his PhD in Economics with concentration on International Trade and Finance from the University of WIsconsin and several years taught in colleges and University of Wisconsin-Baraboo. Mohammad had several small businesses including an International Trading Company in Louisville, Kentucky exporting engine oil to China. 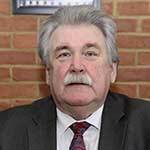 He joined the Lindsey WIlson College in 1990 teaching business and economics courses. Mohammad has certification in the Letters of Credit from US ExIm bank and more recently has been certified in International Commerce by the Kentucky World Trade center. He published two peer reviewed articles on J-Curve and the Demand for Money referenced by many including a Nobel Prize winner in Economics.He has six children currently from age 4 to 29. Recently Mohammad and his wife Melissa started an Art Studio in Campbellsville, Kentucky. Currently he busy with developing course in international business mostly for practitioners with less emphasize on theories hoping to leave a legacy at Lindsey WIlson College after retirement.. For many years Mohammad was a member of Kentucky World Trade Center and the American Economics Association. Mohammad enjoys playing ping pong and backgammons. 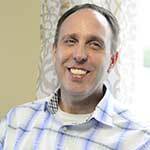 Dr. Taylor is a native of western Kentucky and joined the Lindsey Wilson business faculty in the Fall of 2015. He has taught at the collegiate level, both full-time and as an adjunct, for over 15 years and teaching is his passion. He has had previous business experience in the clothing, transportation, and food production industries. His previous business experience involved credit and collections in both the clothing and transportation industries. 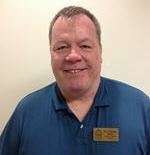 As credit manager, Dr. Taylor helped implement time management improvements for the department. Additional experience involved customer accounting and statistical quality control in the food production business. He was especially able to incorporate his business education with real-life application at Bremner Foods, a division of Ralston Purina. At Bremner, Dr. Taylor worked in the customer accounting area as well as in the statistical quality management and control. Dr. Taylor's personal mission is to facilitate the classroom experience so that every student can effectively apply the topics to real world situations and to become successful members of their community. Dr. Taylor is committed to his students and their success both in and out of class. I am currently the Director of Business Graduate Studies at Lindsey Wilson College. Previously, I was the Chair of the Department of Supervision and Management at Pasco-Hernando State College. I have over 22 years of professional (real world) and higher education experience in the areas of human resource management, health care, labor relations, finance and management, ranging from jobs as executive director of a labor/management committee to positions in management with Peoples Bank, Union Bank, Inc., President of UB Financial Services, Inc., and owner of Security First, Inc. I earned my Master of Science degree from the West Virginia University College of Business and Economics in the area of Industrial and Labor Relations/Human Resource Management and a Doctorate in Business Administration from Northcentral University in the area of Organizational Leadership. I am originally from West Virginia, but I lived in Florida from 2007-2019. I am married to Tammy and have two sons, Isaac (Age 20 - Currently an Electrical Engineering student at the University of South Florida) and Andrew (Age 18 - Senior at Wharton High School in Tampa, FL and will be attending LWC and playing football in the fall). At Lindsey Wilson College, Dr. Sexton has served as Freshman Advisor, Director of Freshman Year Experience, Instructor of Communication, and Assistant Professor of Communication (current position). He was awarded the LWC Student Government Association Teacher of the Year award in 2014 and 2016. He is a member of the National Communication Association, Eastern States Communication Association, National Coalition for Dialogue and Deliberation, Lambda Pi Et (National Communication Association Honor Society), and Sigma Tau Delta (International English Honor Society). Dr. Sexton is a nomadic native of South Central Kentucky having lived in Monticello, Burkesville, Russell Springs, Columbia, and Albany, with the greatest amount of time rooted in the latter. He now resides in Campbellsville, KY. He has two children, Kate Elisabeth and Max Thomas. He earned a bachelor's degree from Lindsey Wilson College in Columbia, KY, with a double major in Communication and Christian Ministries, and was the recipient of the 2004 President's Award. While at Lindsey Wilson College, Dr. Sexton was a member of the LWC Singers, Student Ambassadors, and Students Interested in Government. Additionally, he received a scholarship to study abroad at the University of Oxford in the United Kingdom. Dr. Sexton received his master's degree at Western Kentucky University in Bowling Green, with a research focus in interpersonal and organization communication. In May 2017, Dr. Sexton completed his Ph.D. at the University of Kentucky in Lexington, where his dissertation was titled "Exploring the Influence of Students' Perceptions of Instructional Message Content Relevance and Experienced Cognitive Load on Students' Cognitive Learning." His research is concentrated at the intersection of instructional communication, interpersonal communication, educational psychology, and leadership. Dr. Sexton has presented scholarly research locally, regionally, and nationally and is a published author in several well respected academic journals. Outside of the classroom, Dr. Sexton's interests include: coaching his kids sports teams, watching sports, traveling, hunting and fishing, Disney, living a missional life, and empowering the powerless.